Energy storage systems are a hot topic, and conditions are ripe for the solar PV/energy storage industry set to take off globally for residential, commercial, and industrial applications. Part 1 of this 2-part series examines the benefits that distributed energy storage offers utilities and individuals. Part 2 takes a look at some of the products that have already hit Australia, as well as those that are available elsewhere. The rise of distributed solar photovoltaics (PV) brings opportunities and challenges to conventional electricity networks characterised by centralised electricity generation. Broad distribution of small-scale energy storage could–interestingly–help to address some of these issues, while at the same time also assisting many households and businesses in reducing their reliance on grid electricity more than ever before possible. 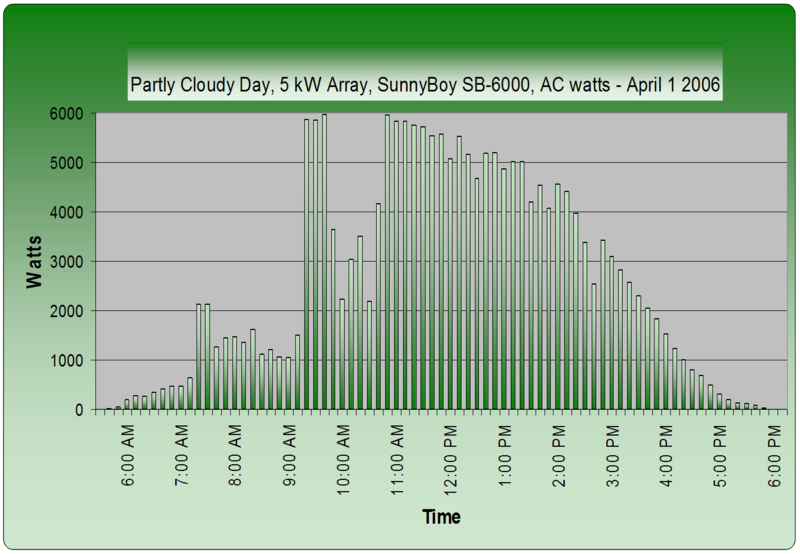 One of the technical challenges associated with distributed solar power is the issue of intermittency. Solar panels will produce electricity steadily and predictably throughout the day as long as the sun is shining. 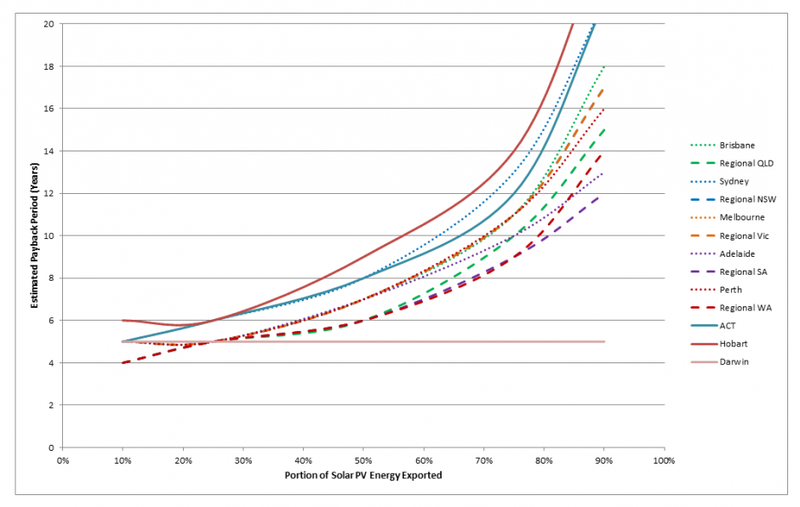 But when the sky is partly cloudy, solar output from an entire region can fluctuate unpredictably (as per the graph)–potentially requiring conventional generation plants (in Australia, generally coal) to be brought rapidly on and offline in order to compensate. Widespread deployment of battery storage with PV systems would mitigate the impact of this phenomenon, with energy storage-equipped homes and businesses solving the problem on the home/building level instead of leaving the utilities to deal with it. In fact, WA’s northern Horizon grid, which is particularly spread-out and sensitive to fluctuations, has mandated that all new PV systems come equipped with energy storage to ‘smooth’ the roughness of ‘raw’ PV electricity. Broad uptake of battery storage with solar PV systems could also help to manage unintended voltage level fluctuations, which may be pushed beyond recommended limits in areas with a high penetration of solar systems. Accordingly, energy storage systems and energy management devices such as RESA’s VoltLogic (which can incorporate a battery bank) are now being eyed as a potential fix for voltage issues on the network level. Such distributed technologies could combat the problem on the consumer side by preventing localised network voltage levels from rising unacceptably in the first place. Benefits to homes & businesses: Why consider energy storage? Whilst offering these potential benefits to the electricity grid more generally, growth in distributed energy storage will be driven mainly by the financial motives of individuals–people wanting to save money on electricity bills. It is exactly this sort of motivation that has resulted in the boom in solar PV systems observed over the past few years, with the financial case for going solar having been strengthened by feed-in tariffs and other subsidies. Despite the fact that most of the state-based feed-in tariffs have now been severely cut back or altogether eliminated, the case for going solar still remains strong. The main difference between then and now is that now the amount of money a solar PV system can save someone is directly related to how much of the power they manage to consume themselves–‘self-use’ or ‘self-consumption’ is quickly becoming the rule. As Damien Moyse of the Alternative Technology Association (ATA) recently noted in Climate Spectator, payback periods for solar PV systems are highly dependent on the percentage of the solar energy that is generated on the spot. The chart below details the payback periods for solar PV systems (sans energy storage) in different regions based on how much of the power is ‘self-consumed’. As can be seen, decreased self-consumption means that payback periods get longer–in some cases as long as 20 years. Realistically, a solar system is only worth the investment if self-consumption can be kept at or above 40 or 50% of generation. Energy storage systems enable solar system owners to ‘self-consume’ a higher percentage of the power that their solar panels produce. Of course, installing an energy storage system also increases the overall cost of the electricity produced–and energy storage is still not as inexpensive as many would like it to be. At the moment, according to Ib Olsen of IBD Cleantech, the most affordable & dependable energy storage units (lithium-ion) on the market globally cost around $700-$800 per kilowatt-hour (kWh). Energy storage is the future ‘no-brainer’ companion for solar PV systems in Australia, and energy storage technology is on the cusp of financial viability, and it may only take a small push to reach this point. Part 2 of this series will take a look at some of the technologies that are already on the market–both in Australia and elsewhere. Interested in energy storage for your home? On the back of the success of our informative and impartial Solar Quote Comparisons, Solar Choice has developed an online comparison platform for energy storage solutions. If you are looking to retrofit batteries onto an existing solar PV system, please enter your details into the form below – we will get back to you when this functionality is live on our site. Top image by Claus Ableiter, via Wikipedia. What is the cost of the base Imergy vanadium Battery? Best to contact Imergy directly about pricing at this point. You can also enter your details into our form to get a comparison of battery installation prices in your area. If you’d like, we can add your email address to a list and we can let you know when this services becomes available. Please let us know. That’s a great question – at this point, most solar+battery storage systems will not have a payback period under 5 years, but you should still check out the market to see for yourself (Solar Choice can help you do this). Additionally, energy storage prices are coming down quickly – so keep your eye on the market! I’ve installed a solar system with a “Zeversolar inverted” 3 KWTT. Could you please advice me of the best batteries storage system for this configuration.? Assuming your inverter is not a multimode or hybrid inverter, you’ll want to look into getting an AC-coupled energy storage system, which can be easily retrofitted onto your existing system. Read more about AC-coupled vs DC-coupled battery systems here. We are currently thinking of putting solar on our house. But our main concern is this: the energy generated by the panels in sunlight hours cannot be stored so my husband tells me.As the power cannot be stored & we use most energy at night with lighting, cooking & heating (in winter), we then have to use electricity from our supplier Energy Australia: is this correct? With a storage battery, would the excess energy from the solar panels that is not used in daylight hours be stored so that we could use that stored energy at night? Can someone please answer this question for me? Yes, without a battery storage system to go along with it, your solar panel system will not be able to provide energy to meet your needs during the non-daylight hours – which means you’ll have to purchase it from your electricity retailer. Battery storage system help you get around this problem by allowing you to store excess solar energy for nighttime use. However, at the moment, they’re still relatively expensive so don’t make sense for all homes – unless they’re really determined to become energy independent. We’ve recently published an article about what it would take (e.g. how much solar and how much battery storage) to become mostly energy independent with a 3kW solar system – you can read it here. Hope this helps, and best of luck.